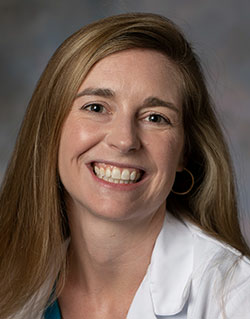 Dr. Janice Townsend is the Chair of the Division of Pediatric Dentistry in the College of Dentistry, and she is the Chief of Pediatric Dentistry at Nationwide Children's Hospital. Dr. Townsend's clinical and research interests include various aspects of behavior management and dental pain management, as well as community outreach and national initiatives involving dental organizations and institutions whose goals include improving oral health. A recent publication in the well-respected Journal of Dental Education (JDE), was titled "Developing Interprofessional Education at One U.S. Dental School: Establishing a Baseline and Moving Forward." The article was chosen as one of JDE's "most notable articles" of 2018.